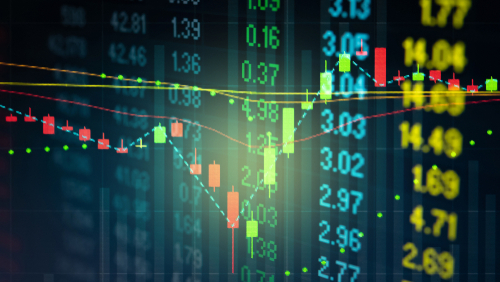 As part of its role to monitor systemic risks around the world, the Financial Stability Board (FSB) today released its eighth annual global monitoring report on non-bank financial intermediation (NBFI). 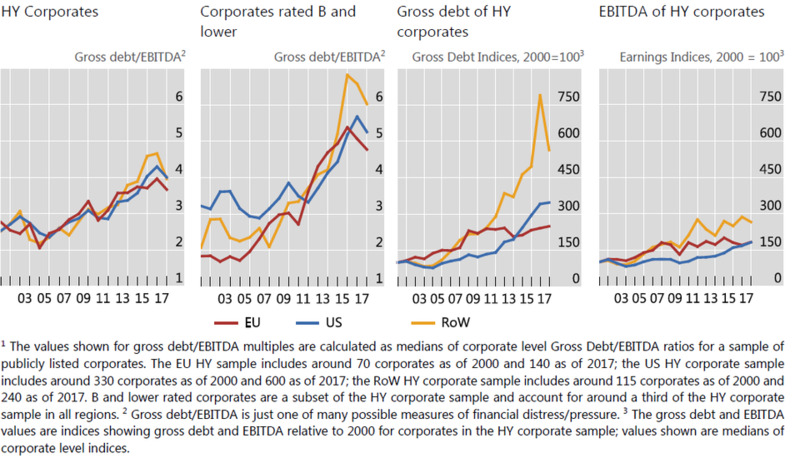 Of particular concern, the FSB report shows that global high-yield debt (also known as leveraged finance) markets, which consist of leveraged loans and high-yield bonds, have grown significantly since 2009 and presently exceed their pre-crisis highs. About $1.4 trillion in institutional leveraged loans, or loans purchased by institutional investors other than syndicate banks, was estimated to be outstanding globally as of October 2018. A big challenge, however, is that certain data and statistics (particularly those regarding the end-investors’ holding of leveraged loans) are not readily available; hence the FSB estimates based on a range of public and regulatory data. 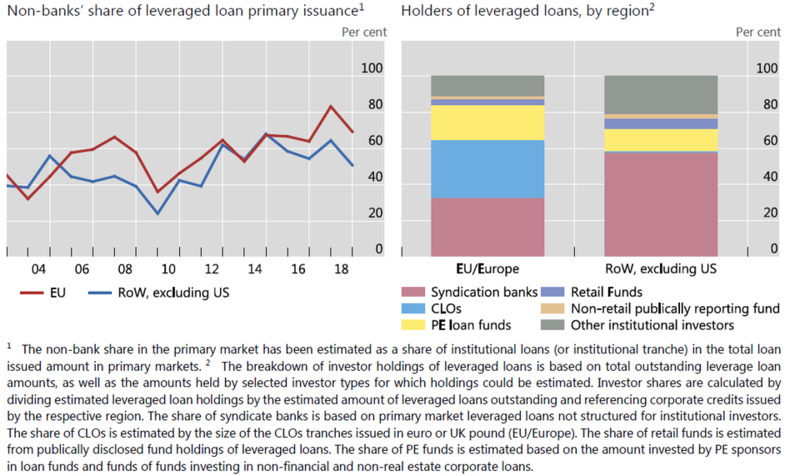 Global Institutional Leveraged Loans (outstanding amounts) SOURCES: FEDERAL RESERVE; BLOOMBERG; ECB; AND DNB CALCULATIONS. ROW=REST OF THE WORLD. Debt, Earnings and Debt-to-Earnings Ratios For publicly Listed Companies (1) SOURCES: CAPITAL IQ; ECB CALCULATIONS. Basel IIIBCBSCapital RequirementsCentral BankCLOsCredit MarketsEuropeFSBMayra Rodriguez ValladaresMRV AssociatesU.S.